Tim returns! We make a best-of list and take one final breath before The Force Awakens. Discussed on this episode: Batman v Superman: Dawn of Justice (2016), Star Wars: The Force Awakens, Ant-Man, Spy, Trainwreck, The Man From U.N.C.L.E., Crimson Peak, Mr. Holmes, Pitch Perfect II, Pixels, Maggie, Turbo Kid, Inside Out, Ex Machina, Sicario, The Martian, Mad Max: Fury Road, The Lazarus Effect, Terminator: Genisys, Jurassic World (2015). 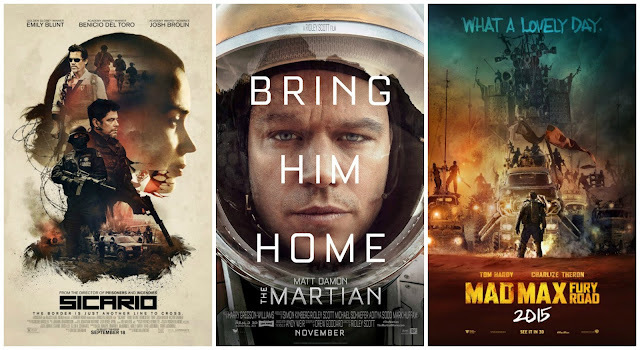 For our podcast on the 2015 Oscar nominees, click here.